The MS Office is my go-to thing when it comes to the professional document work. It certainly is a quality software. But like all others, it is not without its faults. It sometimes shows an error saying that “The operating system is not presently configured to run this application”. This happens while opening Access, Word, and Excel, all three of which are essential parts of the Office suite. Now, for a few days, none of the apps that I mentioned have been working. Reinstalling the whole package is not something that I want to do right now, so here is how I fixed this error. 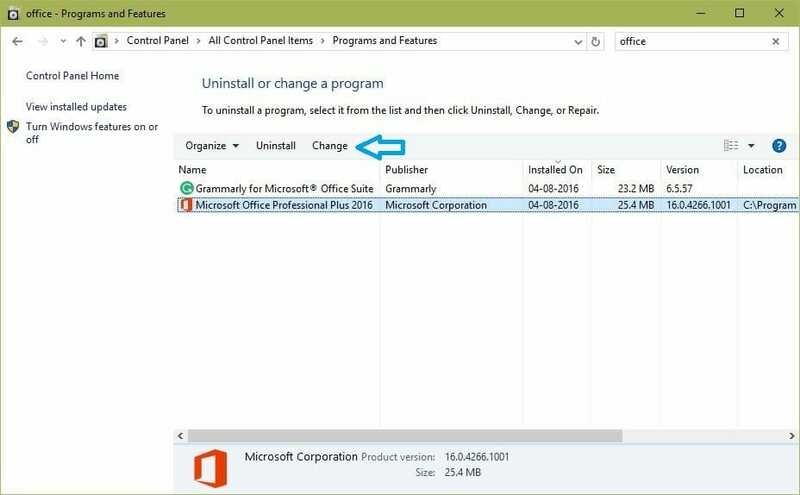 You can fix this error by simply repairing the Office installation from the Programs and Features page. You will also need to install the Microsoft Access Database Engine 2010 Redistributable to never get this error in the future on Windows 10. 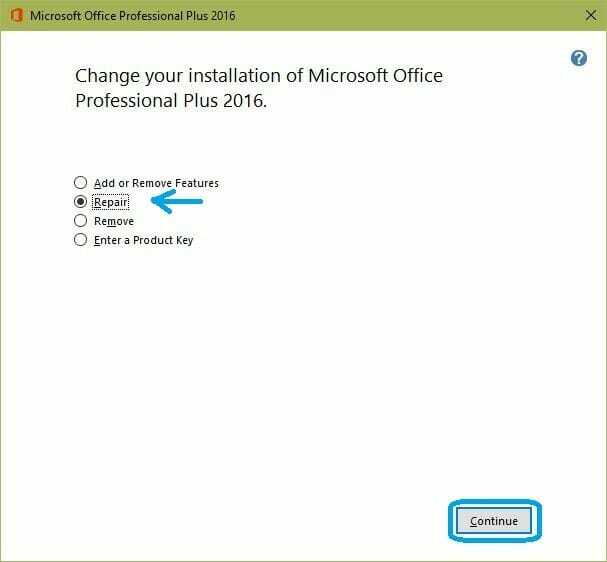 Select Microsoft Office 2016 and then click on Change. This will open Office setup. In the setup, click on Repair radio button and then Continue. 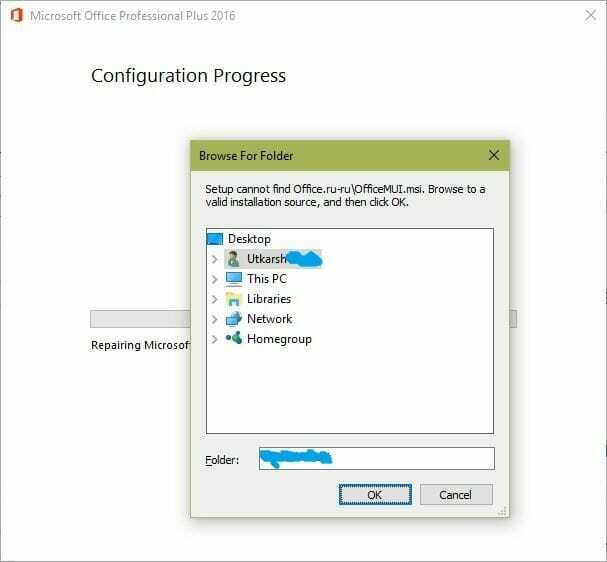 On clicking Continue, you will be asked to browse the location of the location of Office setup files. Insert the Office DVD in your PC and navigate to the setup directory where the OfficeMUI.msi file is present. If you have trouble finding the file, open the Office DVD. Press Ctrl + F and type “OfficeMUI.msi“. It will show you the file and its location. Now, click on OK. Wait for the setup to repair the files and then proceed to the next step of using the SFC tool below. I have discussed how to use the “sfc” while discussing the Windows Store error x803f7000 which can be used here too. Check that out. 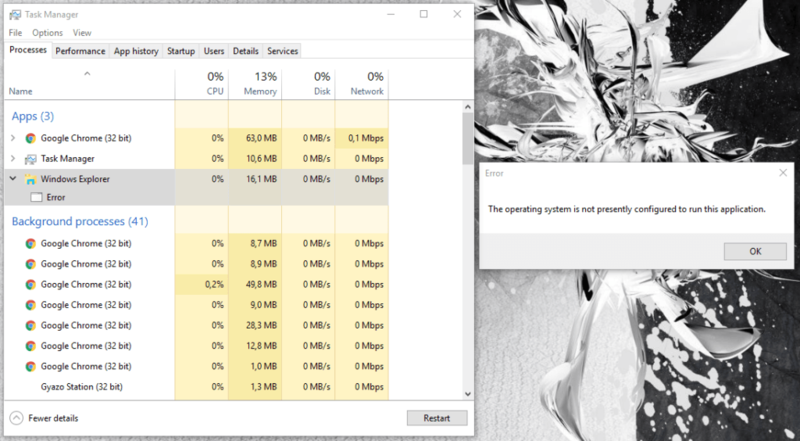 It will just scan your Windows installation and other important system file locations for errors which can show the “OS not configured to run this application” error. Go to the MS Download center and download the AccessDatabaseEngine_X64.exe (you will need to download the file without X64 in its name if you are using a 32-bit OS). Open the file and let the installer do its work. After the setup is done, close everything and restart our PC to fully apply the changes.